Explore California's Arroyo Seco Wine Region. This small appellation lies on the western edge of Monterey County’s Salinas Valley, nestled between the flatlands and the higher reaches of the Santa Lucia mountains, where rolling vineyards stretch across the benchlands. 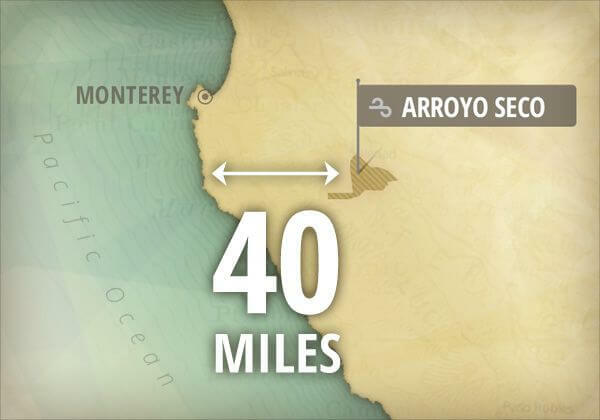 "Arroyo Seco" means dry river in Spanish. It was one of the earliest AVAs established in California and is just 40 miles from the Pacific Ocean. Cooling the vines throughout the growing season, allowing the grapes to ripen at a leisurely pace. burying everything under a damp, chilly blanket. The next morning, the fog retreats to the coast, and the grapes ripen under an intense summer sun. Grapes ripen slowly, creating lovely layered flavors. 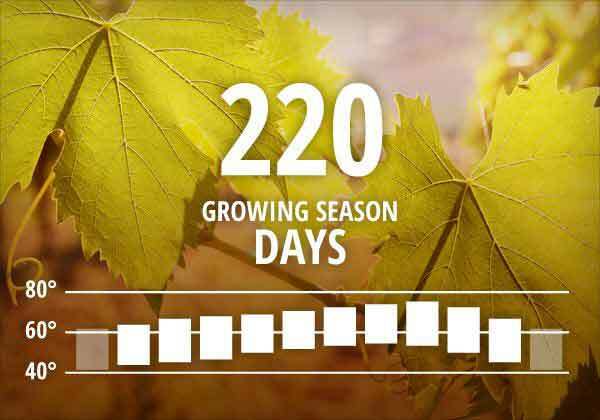 The Arroyo Seco region has one of the longest growing seasons in the United States, beginning in early March and lasting until October. The loose “loamy” soil means our vines need to work hard for every nutrient they can find. This is ideal in viticulture as struggling vines produce more complex flavors. The large river rock stones throughout the region are known as “Greenfield Potatoes.” These stones help provide water drainage and have an added benefit of retaining heat to keep vines from freezing. with tropical flavors of citrus fruits, honeysuckle flowers. Wonderful acidity mouth-watering freshness. There’s also a firm, gravelly minerality. Chardonnay produced in Arroyo Seco is available now. with naturally juicy acidity, complexity and eclectic character. Rich aromas of spice and earthy notes are layered flavors of pomegranate, blackberry and dark plum, wet stone and cedar. Pinot Noir produced in Arroyo Seco is available now.